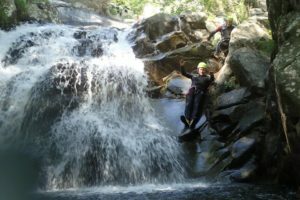 The Acquetta river offers a unique canyoning experience in Lunigiana, immersed in the pristine nature of the Apennine National Park. Have fun with rope descending, jumps and natural toboga. The clear and fresh waters of the Acquetta River flow at 1700m of altitude between the Mounts peaks Monte Matto and Monte Brusà, and join the river Bagnone in the valley floor. 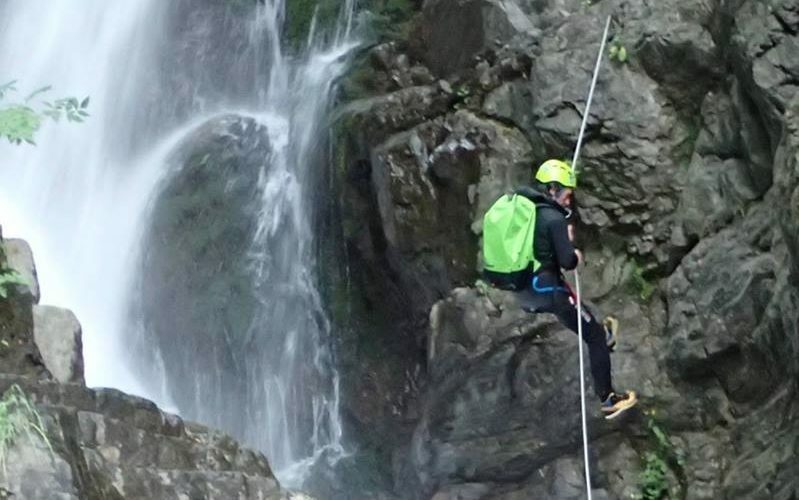 Its riverbed stretches through sandstone walls from where you can jump or climb with ropes. Meeting: 9:30 in Bagnone, at the car park in front of the Quartieri Theathre. From here 10/15 min drive to the beginning of the track and 45/ min hike. Difficulty: medium. It is required to be able to swim and to be confident with water. Price (group of 4/5 people): 75 euro per person including qualified alpine guide and gears (wetsuit, helmet and harness). To bring: hiking shoes, swimsuit, towel and change of clothes and shoes.